This fall I've had slightly less urgency to hit the road with the first snow and ice storm because I acquired a second van with all wheel drive. 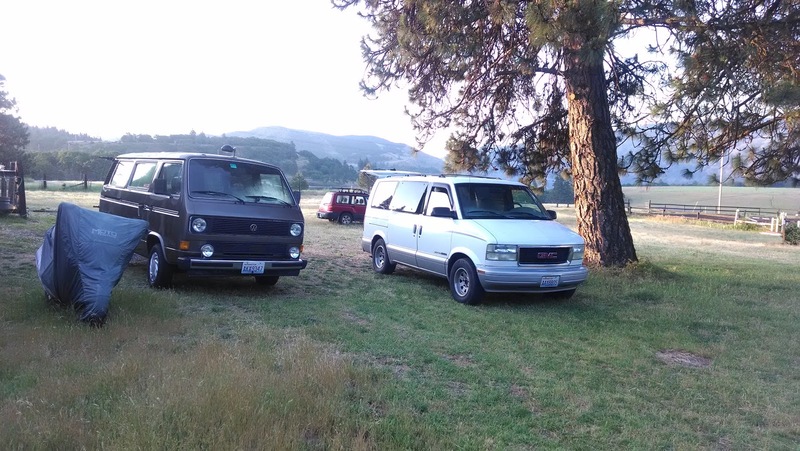 Living at the top of a long steep driveway like we do has always presented challenges for my Vanagon when the going gets slick or deep. The GM AWD Safari van has a good heater, tows a big load and has lots of room inside to use mainly for my work as a carpenter.